The key to a successful community launch is the often overlooked planning stage. 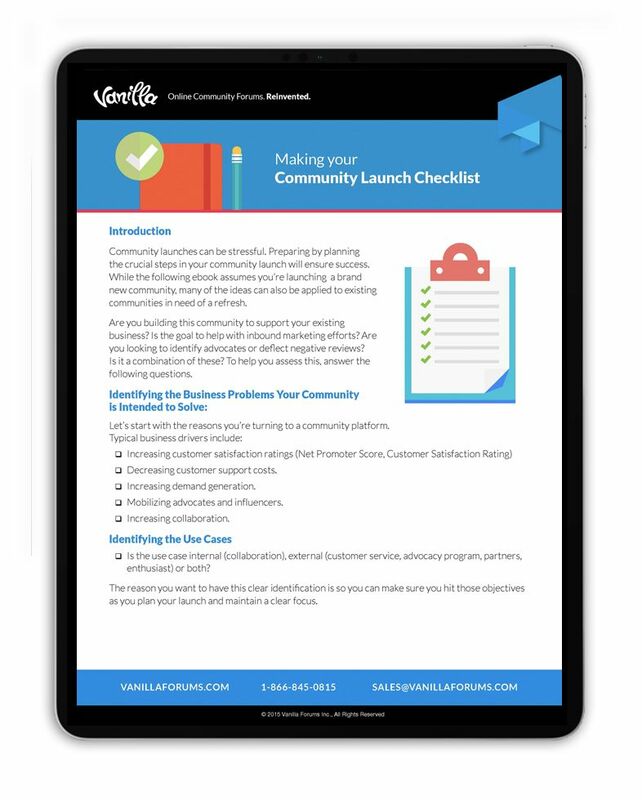 Our new Community Launch ebook covers all the essential steps from start to launch. How to identify the business problems your community intends to solve. How you can identify the key stakeholders within your organization and meet their needs. The keys to soft-launching your community, both within your organization and to a selected group of trusted individuals. What to test in your new community before launch. The best ways to promote your community to your potential audience. Things to consider once you are live. Fill out the form now to get your free copy!